The goal of The Easton Foundations is to promote and maintain the viability of archery by growing the sport as a mainstream activity at the state, regional and national level. This will be accomplished by developing grassroots programs in communities and schools, supporting college and university programs, and through these efforts, inspire the next generation of Olympic hopefuls. The Easton Foundations also serve as a vehicle to encourage and support youth to develop skills in the sports of baseball, softball, ice hockey and cycling. Created by Jim Easton, CEO of Jas. D. Easton, Inc., the Foundations support the building and/or operation of outdoor and indoor archery facilities at city parks, schools, universities and sports complexes throughout the U.S. In addition to these facilities, the Foundations provide programs to train aspiring archers, trainers, coaches and administrators. 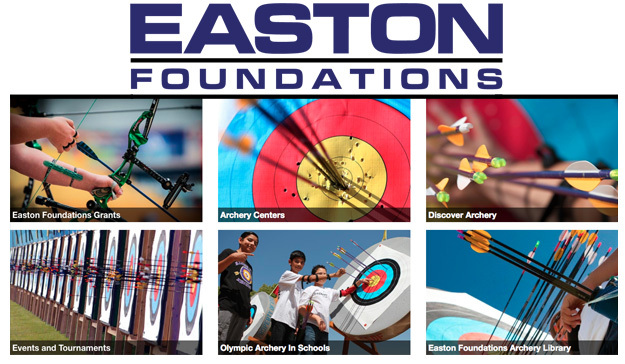 The first Easton Sports Development Foundation was created in 1984 with the mission to introduce this lifetime activity and historic Olympic-style sport of archery to more people in Southern California. The success of that effort led to the formation in 2006 of a second Easton foundation, Easton Sports Development Foundation II.